Macros can be used in many ways in Microsoft Office applications, and quite a few people have published macros that are useful in preparing texts for translation in various ways. However, with the changes in Microsoft Office versions and the confusion of templates, toolbars, button and clickable text to run macros, a great number of very smart people are simply afraid to use tools that could save them many hours of work. 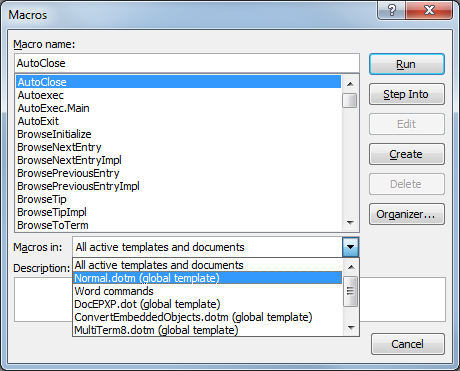 One fairly easy way to install and run macros is to put them in a global template, such as the Normal template, which is used every time Microsoft Word runs. 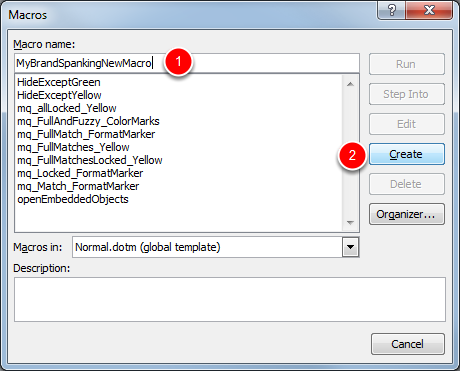 It is a convenient place to put macros you might want to use in many different documents. 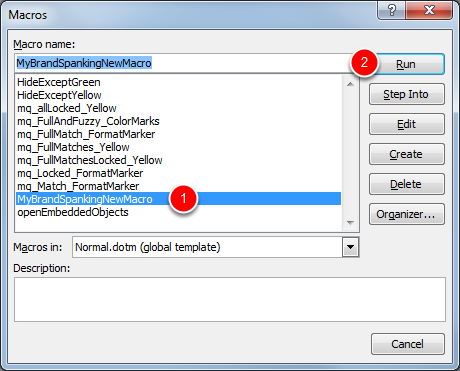 The editor for Visual Basic macros will open and the the beginning and end of your new macro will be created automatically. You can change the name if you like or paste over the generated text. 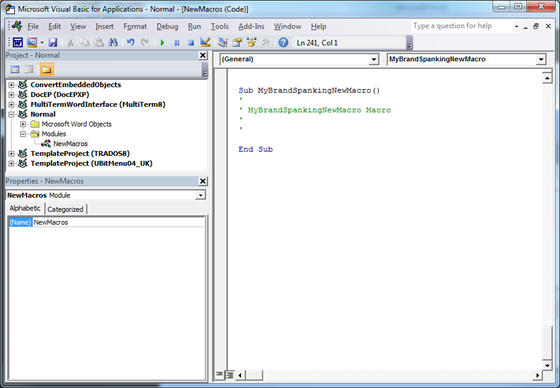 Type or copy the code for your new macro, save it and close the editor. This blog is published by Übersetzungsbüro zappmedia. A plus for translator productivity! © 2011-2018 zappmedia. Powered by Blogger.